Get notified when Los Angeles Rams tickets are available! The Los Angeles Rams are a National Football League team that was known as the St. Louis Rams from 1995 to 2015. As of 2016, the team played in the National Football West Conference. 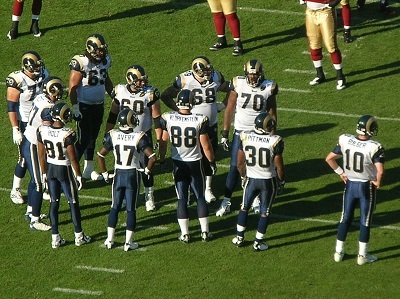 Los Angeles Rams home games are held at the Los Angeles Memorial Coliseum, which is situated in the University Park neighborhood of LA. Nicknamed “The Grand Old Lady,” the arena is owned by the University of Southern California and opened in 1923. The historic stadium seats roughly 80,000 people for games. You can buy Los Angeles Rams tickets by using the links above.